"The Social Justice Handbook serves as a veritable global, ecclesial terminal, a launching-off point to the myriad ways that the shalom of Christ has gloriously broken forth in and through his rebellious and needy creation. Mae Cannon does this with the unequivocal passion of one who cares deeply about what the church is called to be. Through the Handbook, Cannon generously offers Christians tangible points of access to taste, and enter into, what God is doing in his world." "'The LORD . . . was displeased that there was no justice. . . . He was appalled that there was no one to intervene' (Isaiah 59:15-16). Churches have engaged in evangelism, teaching and compassion for years, while we have sat on the sidelines of justice. Mae moves us . . . from feet that are frozen to walking, from a framework to a path, and from inspiration to hard work and action. This is the most comprehensive and compelling work I've read on justice. This book has the potential to make our churches into the unstoppable forces God intended them to be, with justice for all." "People often ask me for resources on what they can do about injustice in the world. Now I can point them to Mae Cannon's Social Justice Handbook. This guide is packed full of resources and ideas for following the God of justice both at home and around the globe." "Jesus was about the justification of souls and justice for every soul and society. The church when at its best has been devoted to both. This is a hands-on book on how to understand issues of justice and tangible ways to pursue it through local churches. Thank you, Mae." "The moment you open Social Justice Handbook, it will vibrate in your hands with the heart-passion that inspired its making, a passion generated by him who described his life-mission as bringing good news to the poor, release to captives, sight to the blind, freedom to the oppressed and the time of God's grace. This book will simply not allow all those great intentions to become lost in theory. 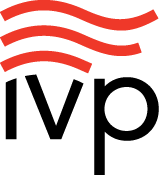 It will take you by the hand and lead you step by step into their glorious implementation." 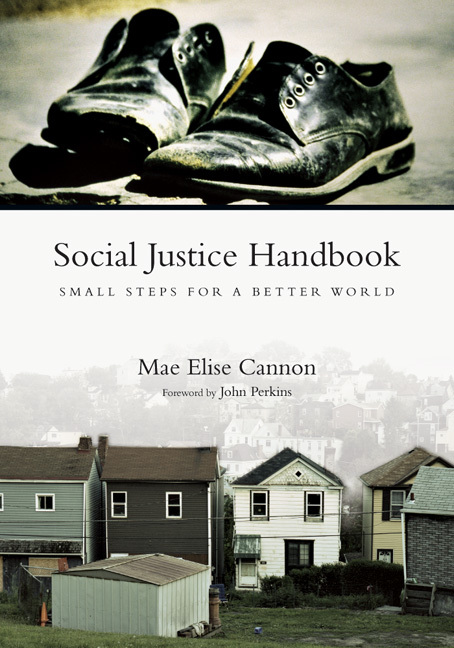 "Mae Cannon has done what many would deem impossible: she has developed a solid introduction to social justice rooted in Scripture, she has given churches concrete steps for becoming agents of social justice, and she has provided an amazingly comprehensive overview of justice-related issues that we face in our world today. And she has done so in a clear, readable, accessible style that people in your church will appreciate. Through her work and the work of many others like her, what seemed impossible even a few years ago may be happening soon--thousands of American churches growing beyond an 'it's all about me' spirituality to a more mature identity as communities of integral mission." "In her new book, Social Justice Handbook, Mae Elise Cannon provides a comprehensive, historical overview of individuals and organizations that have effectively influenced others to take action on issues of social justice. There should be no question about the role and responsibility of the body of Christ to care for the poor and needy, as over two thousand Scripture references clearly indicate the heart of God and his mandate to us as believers. As well as providing the historical background of many life-changing causes, Cannon lists small steps that we can each take to actively live out our faith in tangible, practical ways as advocates for Christ and his work here on earth." 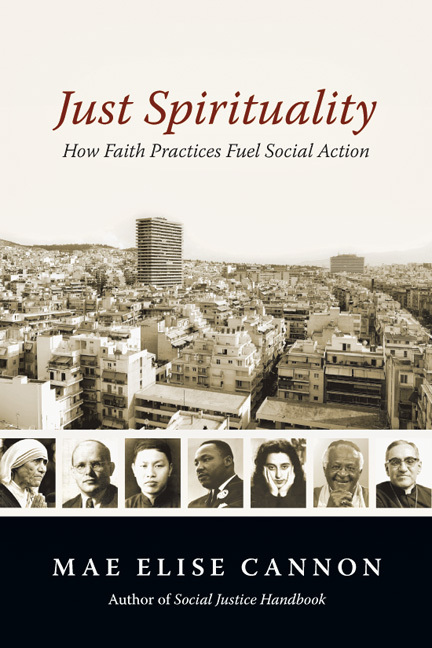 "This handbook will help you find your place in God's global work of social justice. . . . I pray that this book will give you ideas for living out God's call on your life in ways that are surprising and unexpected." "Social Justice Handbook is more than a manual for public discipleship; it is a comprehensive account of Christian social conviction that reads like an apologetics of the faith. I am in awe of this book!" "Social Justice Handbook is a highly valuable aid to every pastor and church leader. This book tells us how to get started on social justice causes and where to find the groups that support the causes we believe in." 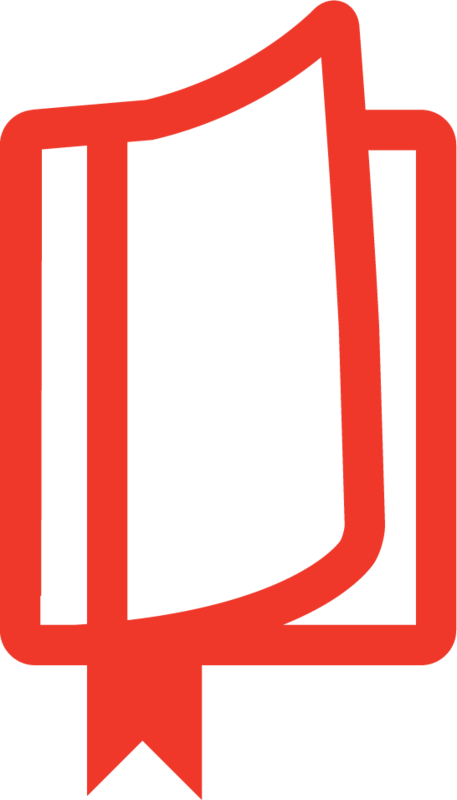 "Social Justice Handbook is a long overdue work. Despite the resurgence of interest in justice by many churches, there has been a noticeable lack of available resources on this topic. 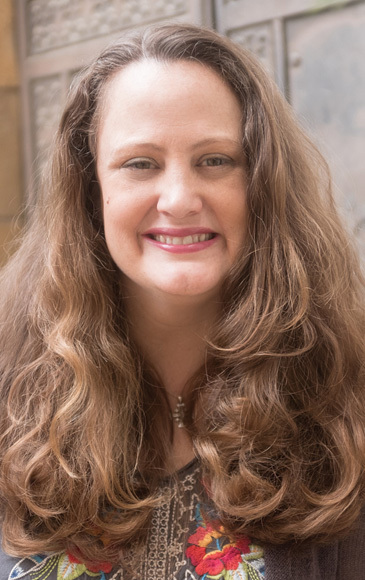 Mae Cannon gives us the biblical framework that can spur churches to action as well as giving us practical tips and real-life models and examples of how justice can be lived out in our world. For any individual, Christian fellowship or church wanting to grow in the area of biblical social justice, this is the book you want to get." "This is a cookbook for plotting goodness and stirring up holy mischief. Take a look and find a recipe for revolution. Then let us take it to the streets--interrupting injustice with grace, surprising the world with joy and whispering God's love to a broken world." "Mae Cannon's passion, compassion and theological strength of calling as an advocate for the 'least of these' leaps off of every page of the Social Justice Handbook. This book informs the average follower of Christ and the Christian leader alike to act as Jesus would in the face of injustice. Mae's call for action convicts us all to do something for Christ's sake. Every Christian needs this book within arm's reach." "People from the Christian tradition who are new to social justice will find treasure here." "This handbook will help you discover what you can do about challenging societal problems . . . highlighting how Christians and churches can make a difference. Also included are spiritual practices and resources to help us move from immobility to advocacy. . . An essential companion for living justly, loving mercy, and walking humbly with your God." 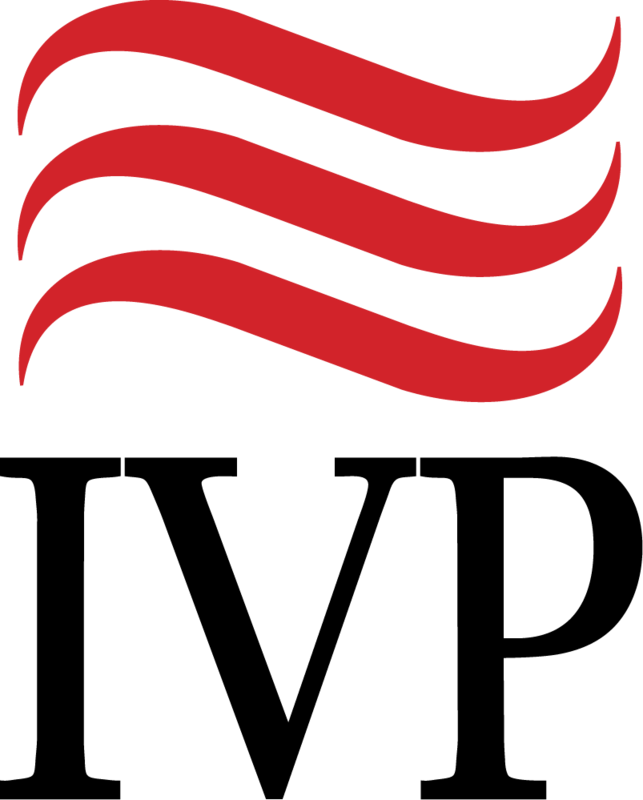 "Written by Mae Elise Cannon, executive pastor of Hillside Covenant Church in Walnut Creek, CA, Social Justice Handbook provides a comprehensive resource for Christians committed to social justice. 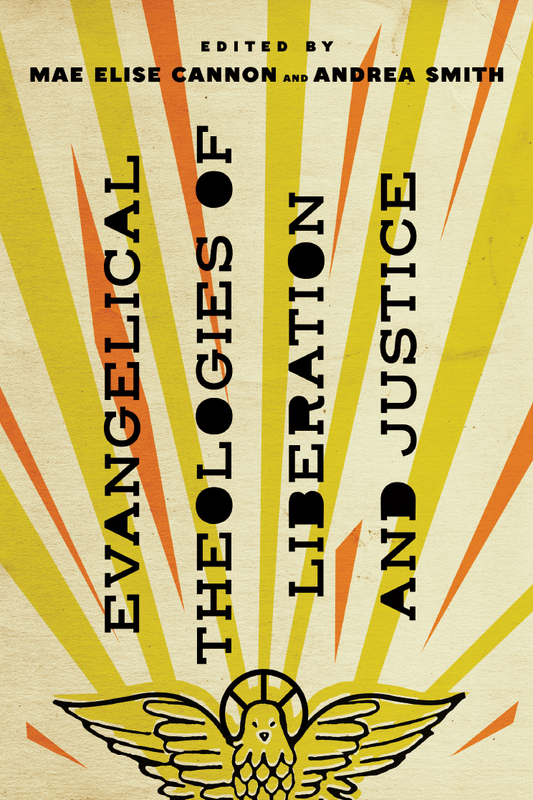 Cannon presents biblical rationale for justice and explains a variety of Christian approaches to doing justice. She traces the history of Christians in social engagement and highlights role models and examples from the Great Awakening periods of religious revival to the civil rights movement." "Highly recommended, it's more than another review of social issues, but a call to action." "Cannon helps her reader understand the larger history, ongoing dialogue and definition of justice as it pertains to Christian faith. This book offesr numerous ideas for raising awareness and taking action to bring justice to all."